ONLY TWO SPOTS LEFT as of June 7th! Learn the Apliquick method of applique from award winning, Kathy McNeil. She will show how to create the owls in units and then applique to the background. Kathy is a delightful teacher who has taught for many times for Seams Like Home. We are excited to have her return! Please join us for a 3 hour class on Saturday, August 18, 2018 from 1-4pm. This class is $130 and comes with a kit. 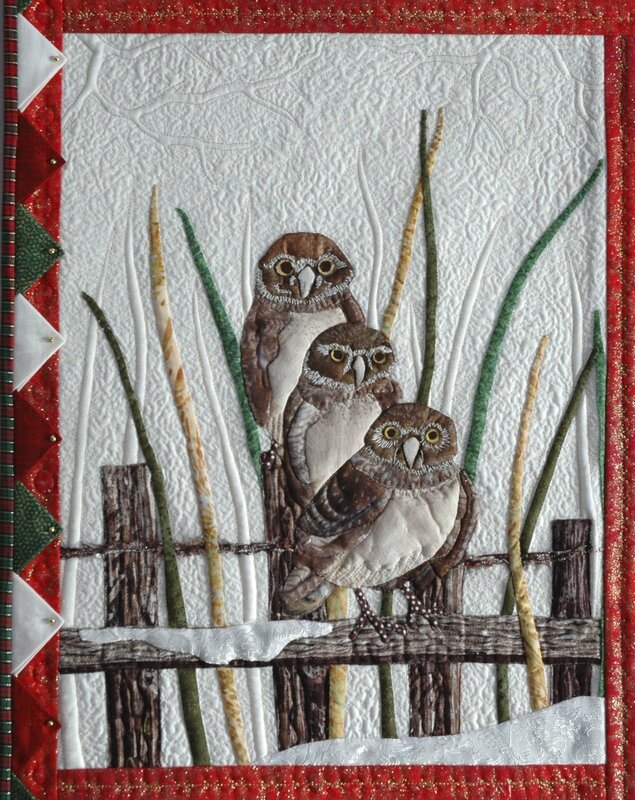 The kit includes pattern, fabric to create 3 owls, Apliquick tools, interfacing, glue pen and refill. This makes a great gift! It does not include background, border, grass or fence fabric.